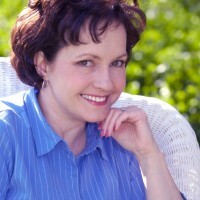 Dana Daniels has been called one of the world’s funniest comedy magicians working today. His mild manner persona becomes very disarming once he hits the stage. His quick wit and ability to adapt to any situation while making it funny and entertaining makes him a hit at any function. 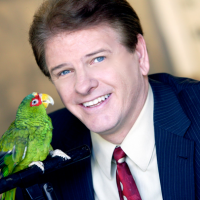 Dana Daniels, teamed with his “psychic parrot,” Luigi, entertain at corporate events around the country and never fail to fracture an audience with laughter. With Dana as the comedian, and Luigi as the straight bird, the duo is perfect to deliver any keynote message while performing off-the-wall magic blended with rapid-fire comedy and audience participation. 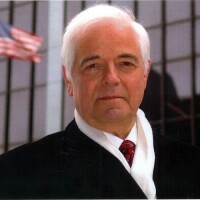 In demand by fortune 500 companies such as Honeywell, McDonald’s, Lincoln Financial, Dole, and the Walt Disney Co., Dana Daniels’ talent is also recognized among other magicians. Nominated for several awards in 2003, Dana was named “Comedy Magician of the Year” by the Academy of Magical Arts, the very first magician to earn that award. In 2004 Dana received two awards from the Academy of Magical Arts: Comedy Magician of the Year, and Parlor Magician of the Year. 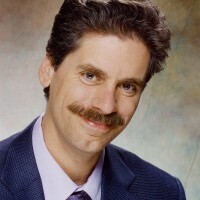 It is Dana Daniels’ unique twist on magic that separates him from other magicians, and separates Luigi from other birds.